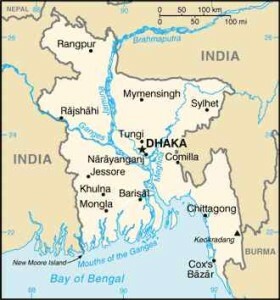 (Mission Network News) — Bangladeshi Christians are on edge. Bruce Allen of Forgotten Missionaries International (FMI) says threats and attacks are forcing some pastors to re-locate. The risk is catching headlines, too. A jihadist belonging to Jama’at ul Mujahideen Bangladesh (JMB), a terror group active in Bangladesh and India, just admitted to targeting foreigners in October’s spate of attacks. In late November, ISIS said this group was its affiliate in Bangladesh. Allen, who travels fairly often to Bangladesh to meet with indigenous missionaries, recently received warnings from the U.S. State Department.